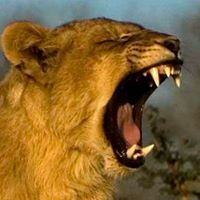 Entertainment TV Channel / WildEarth.TV (WE) strive to be the world leaders in the LIVE broadcasting of wildlife. Jump on the back and join a LIVE African Safari. Twice a day our expert guides invite you to come along and drive through the African bush in search of the Big Five as well as smaller animals. Interact with your ranger by asking questions through #safarilive on Twitter or via email at questions@wildearth.tv. When safariLIVE isn't live, you can view the feed from the Djuma Waterhole camera, from the heart of Djuma Private Game Reserve in the Sabi Sand/greater Kruger National Park area.